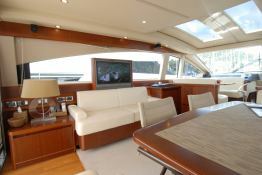 This Princess V 65 was built in 2009 by Princess Yachts. 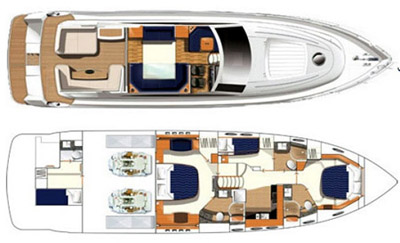 With its 2 crew members, she welcomes up to 6 passengers on board to explore Balearics. 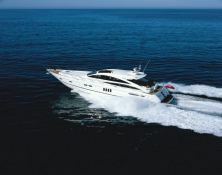 This Princess V 65 can reach a cruising speed of 26 knots thanks to its 2 powerful 1360 hp engines. 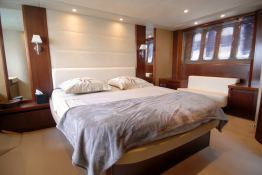 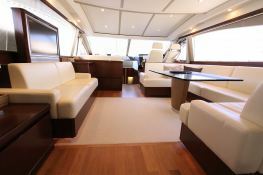 This 65 yacht available for charter in Balearics is fully equipped with equipped galley, generator and also wakeboard, CD and DVD for leisure.